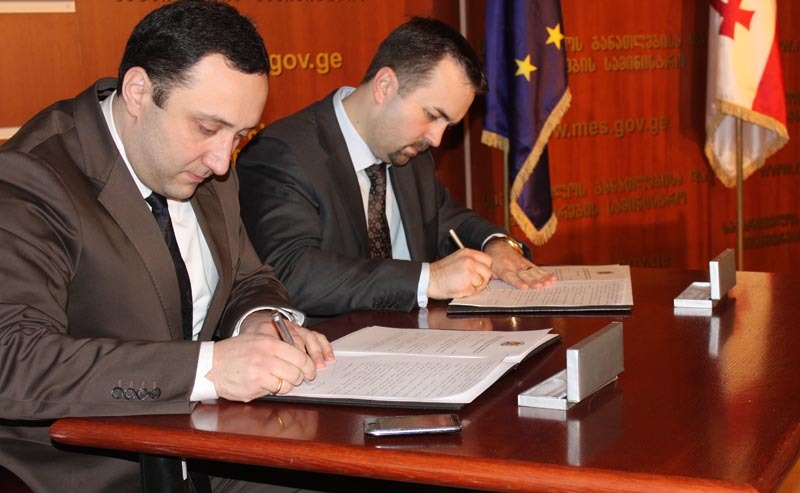 The Minister of Education and Science, Dimitri Shashkini and the Public Defender, George Tugushi signed the memorandum of cooperation. 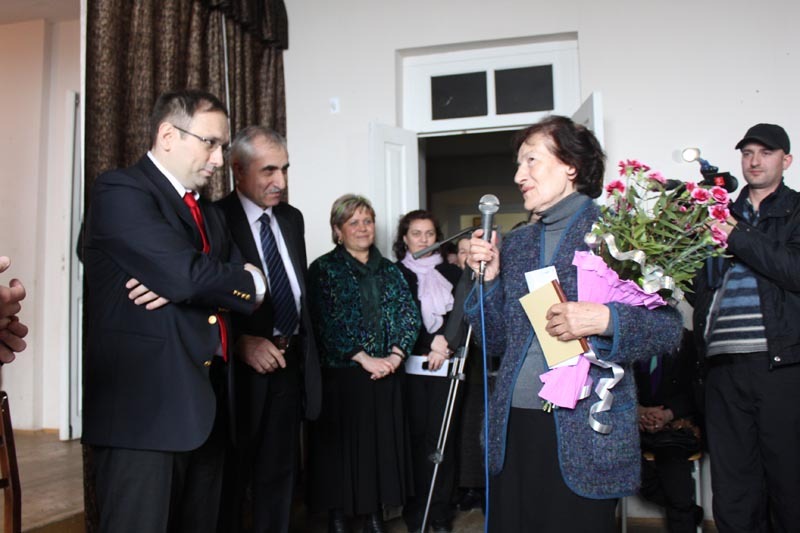 The Minister of Education and Science, Dimitri Shahkini paid a visit to Telavi public school №9, where the director of the endocrinology center – Healthy Life, Ms. Elene Giorgadze carried out the thyroids echoscopy examination of the children free of charge. 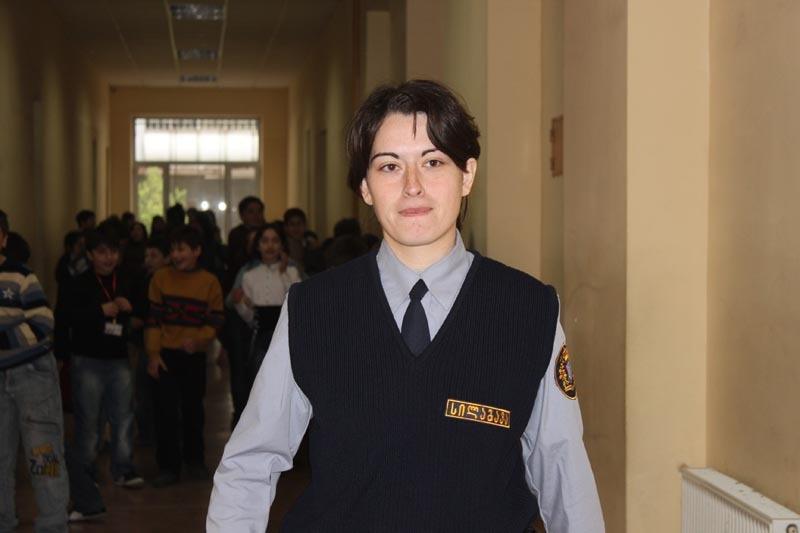 We would kindly remind you the rule of awarding the schoolchildren with the golden and silver medals according to the acting legislation. 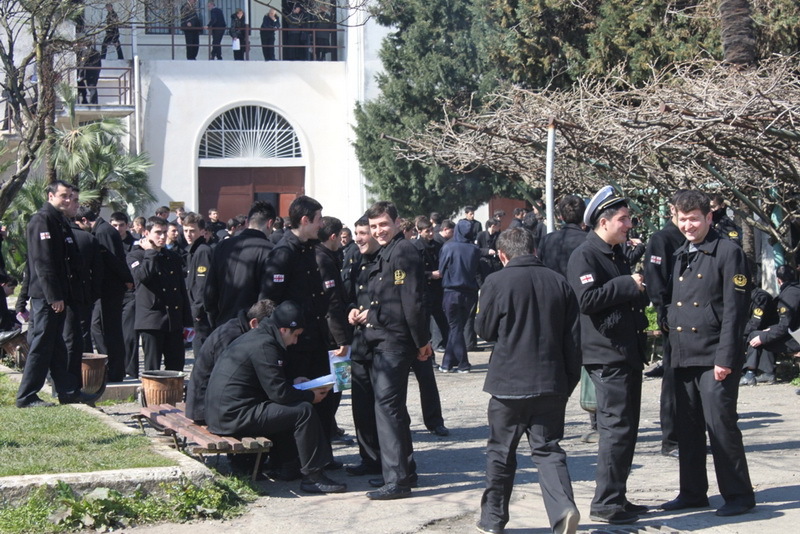 The Minister of Education and Science, Dimitri Shashkini and the Defence Minister, Bacho Akhalaia attended the opening ceremony of the civil defence and safety classrooms at Mtskheta public school №2. 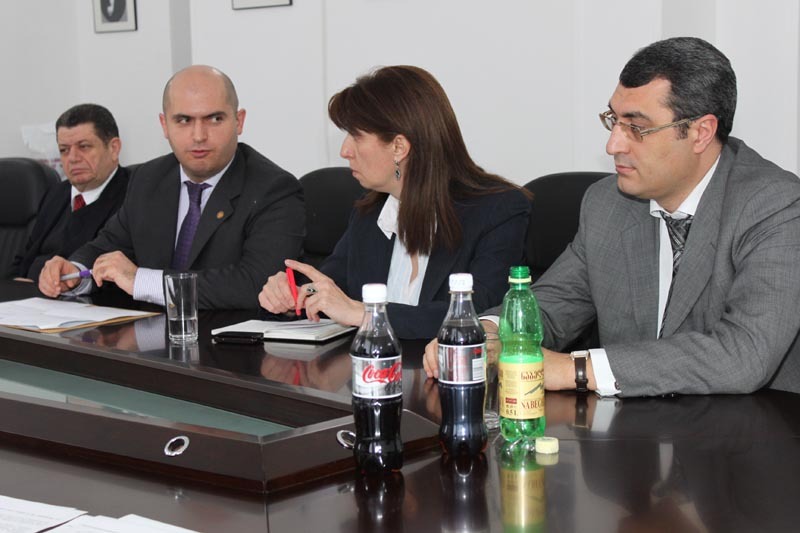 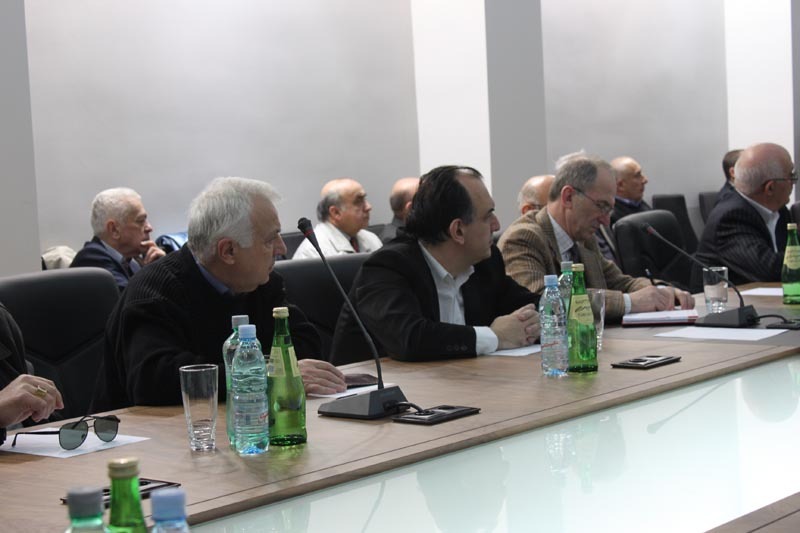 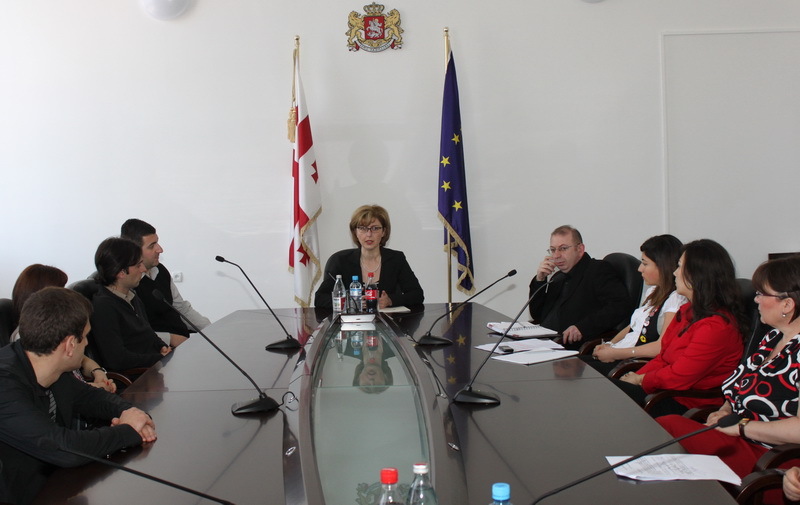 The Minister of Education and Science, Dimitri Shashkini and the Head of Tsinandali Education Center, Rezo Apkhazava held a meeting with the principals of Tbilisi public schools. 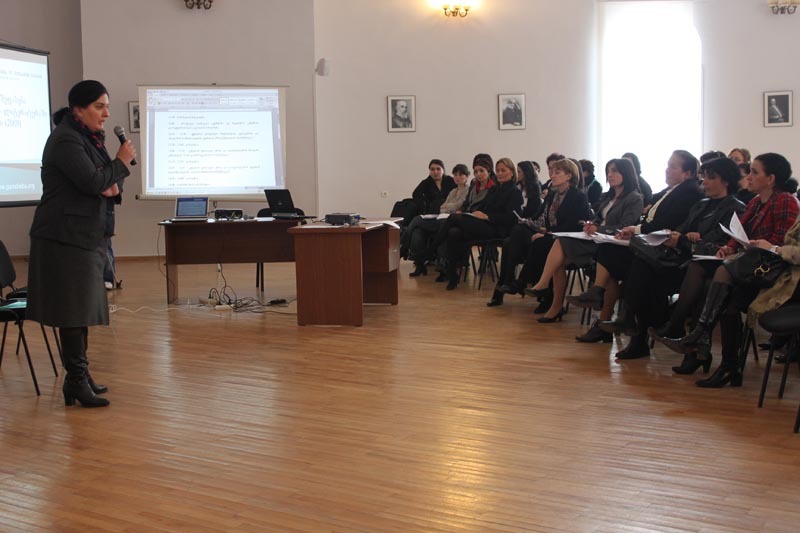 The school principals got familiarized with the activities of the Education Center and discussed the future projects of the center. 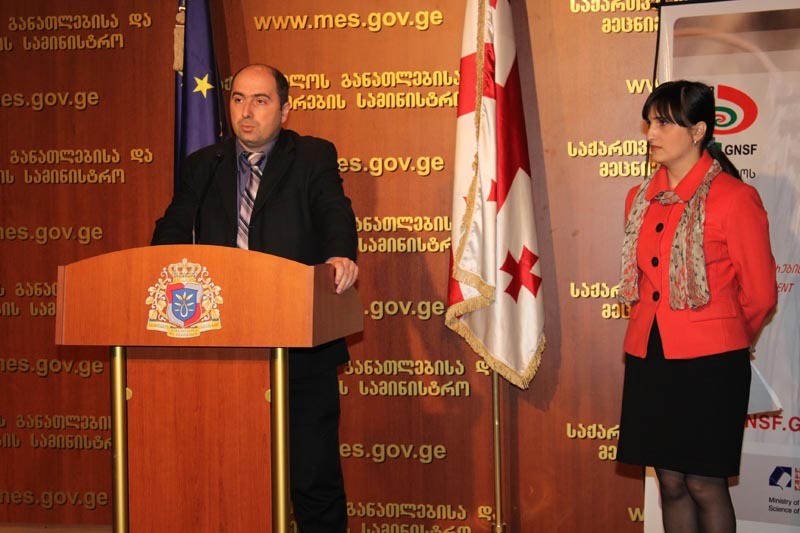 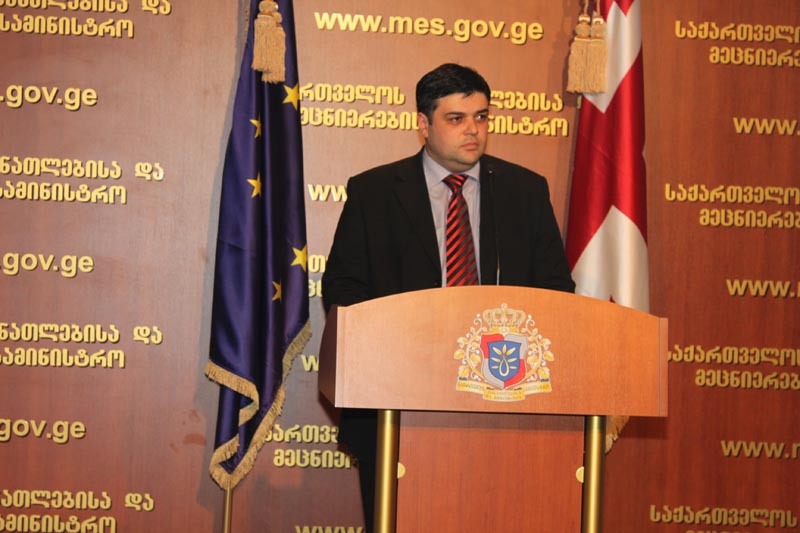 The Minister of Education and Science, Dimitri Shashkini and an international expert on Freedom of Media issues, Dunya Mijatoyich spoke about the events, carried out in the framework of the Second Wave of Democratic Reforms, at the meeting, held in the Ministry. 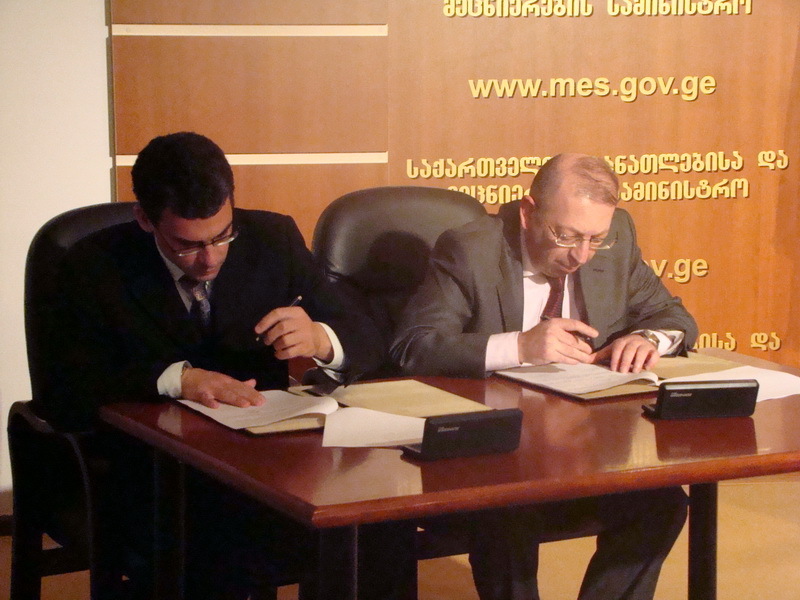 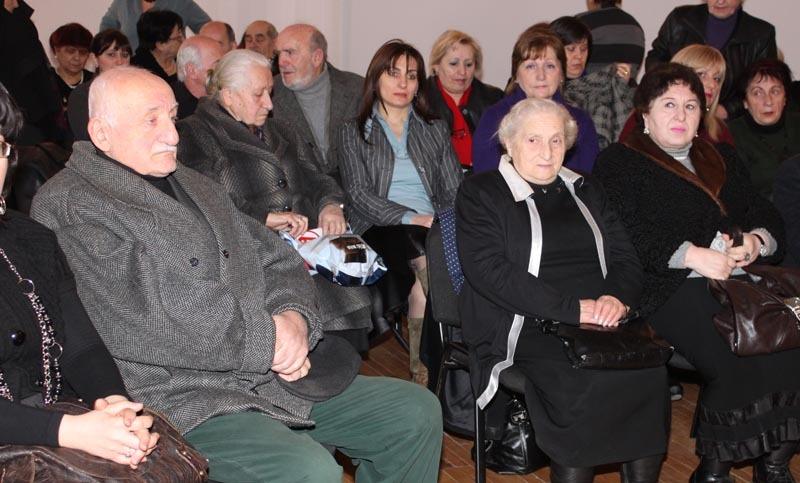 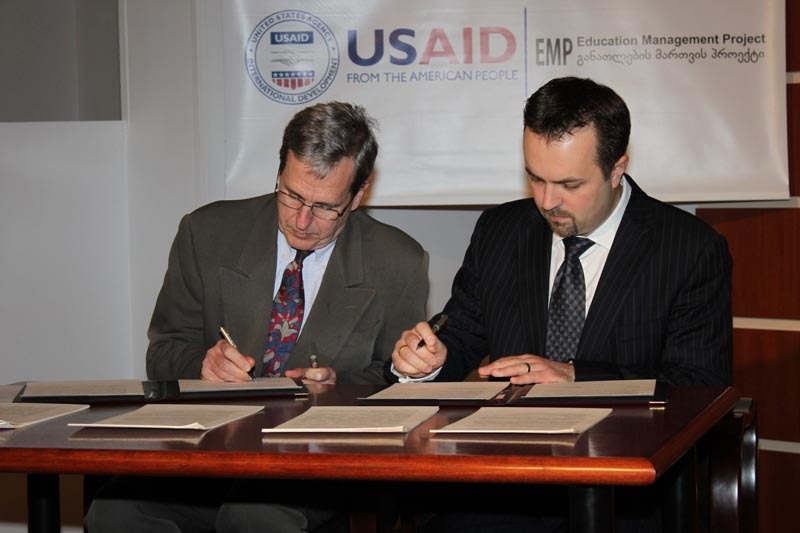 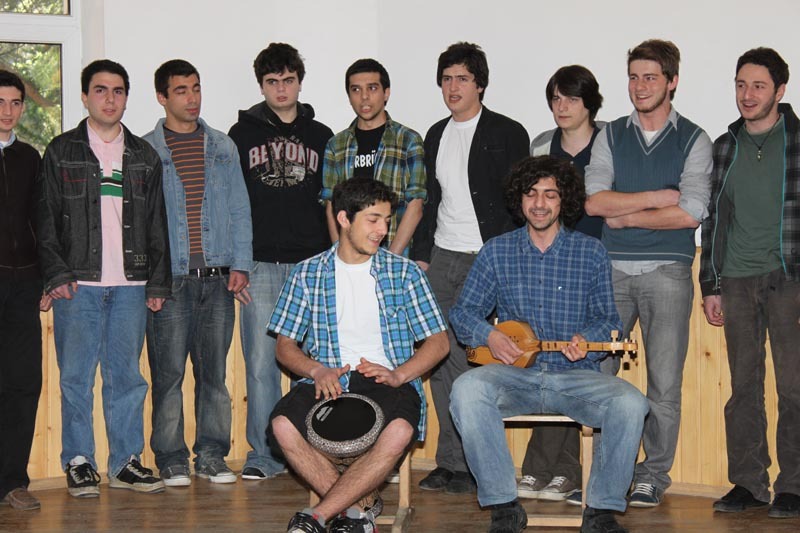 The Georgian Language Faculty will be established at Yerevan State Institute of Foreign Languages for the first time in Georgian-Armenian history by the decision of the Ministers of Education and Science of Georgia and Armenia, Mr. Dimitri Shashkini and Mr. Armen Ashotyan. 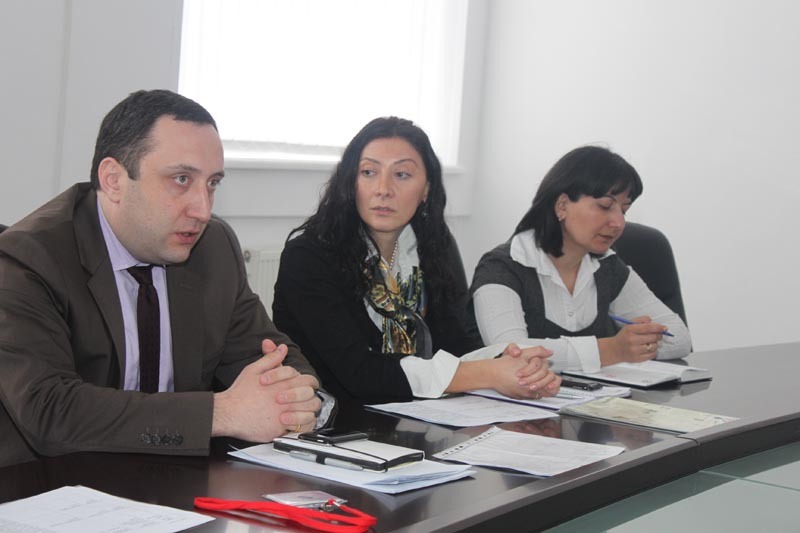 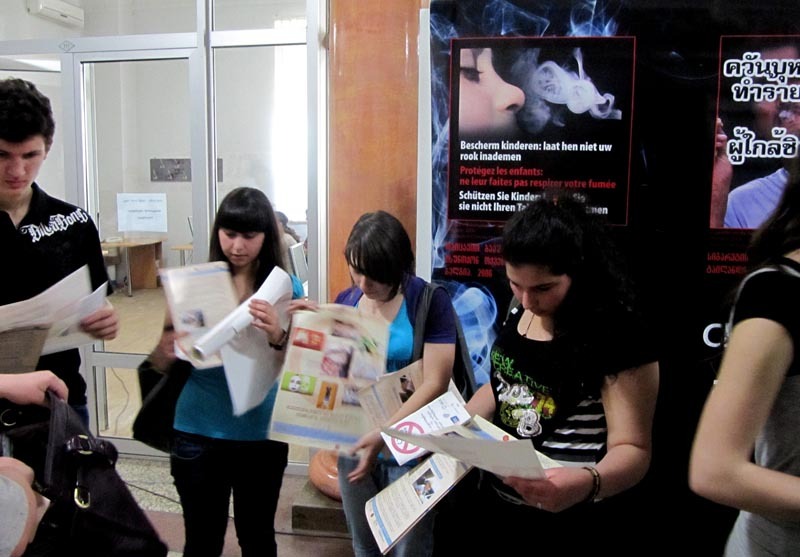 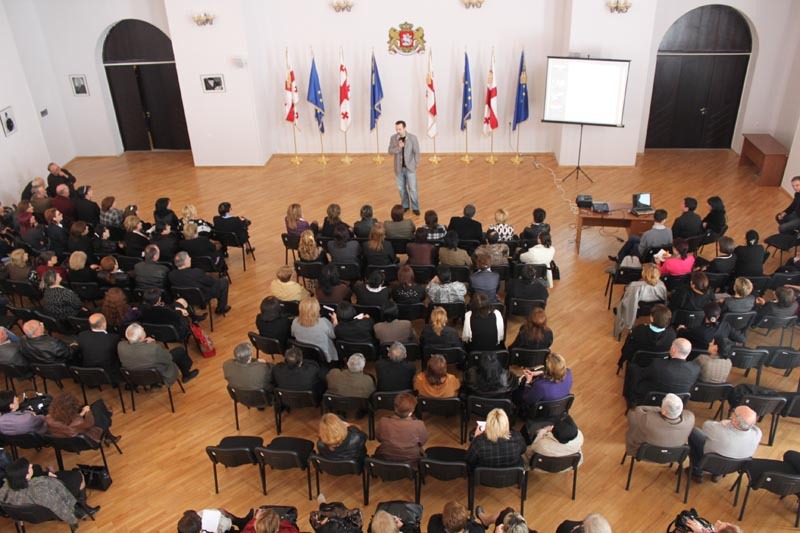 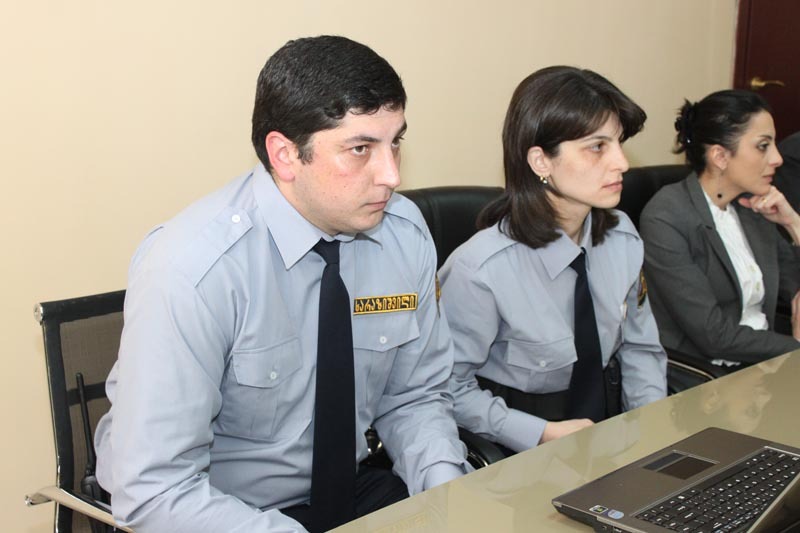 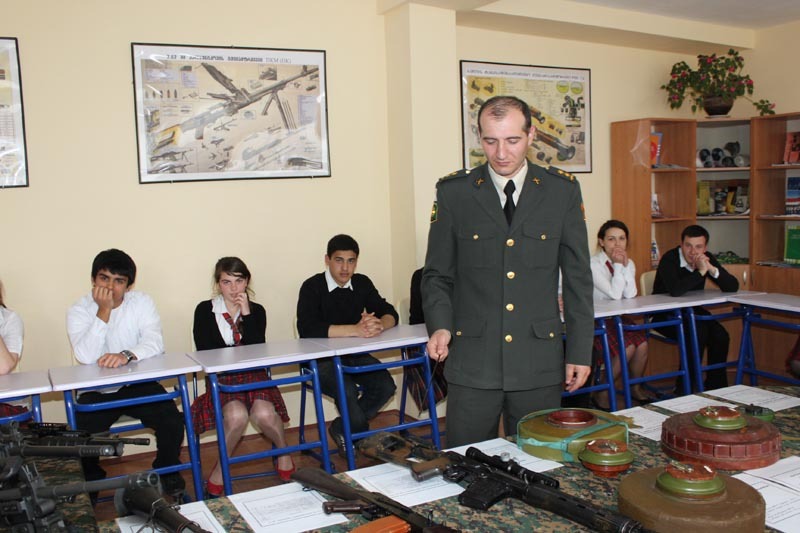 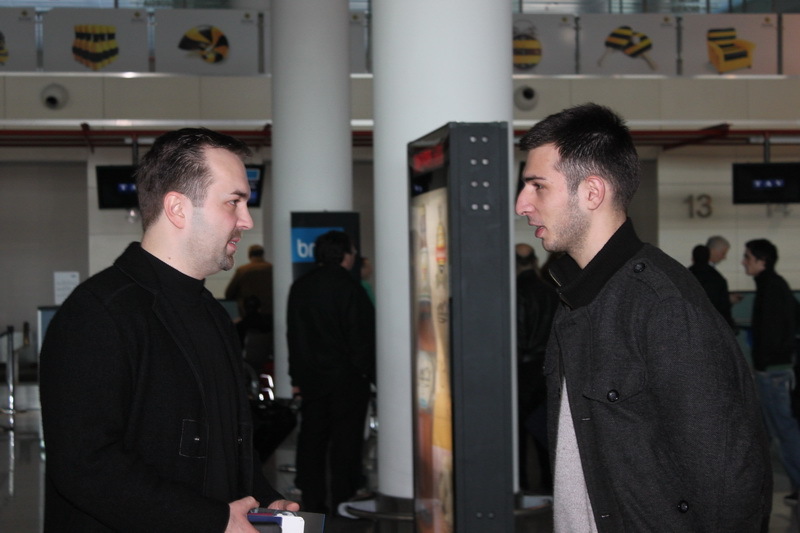 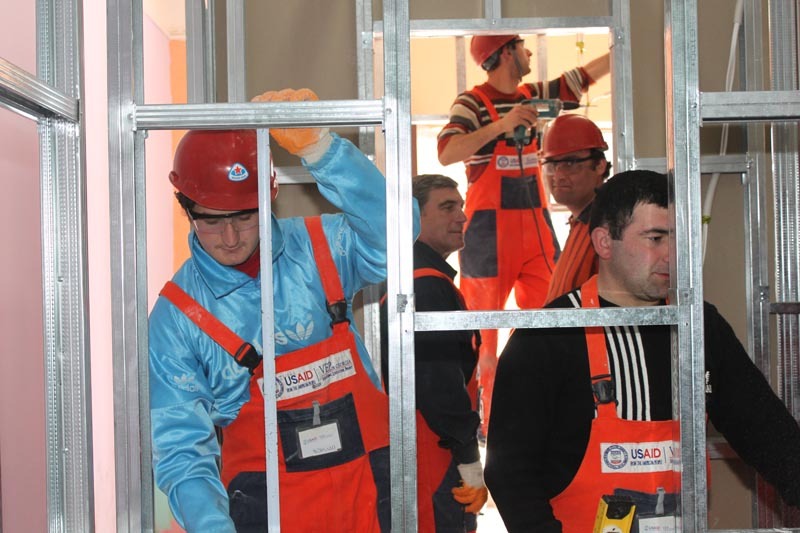 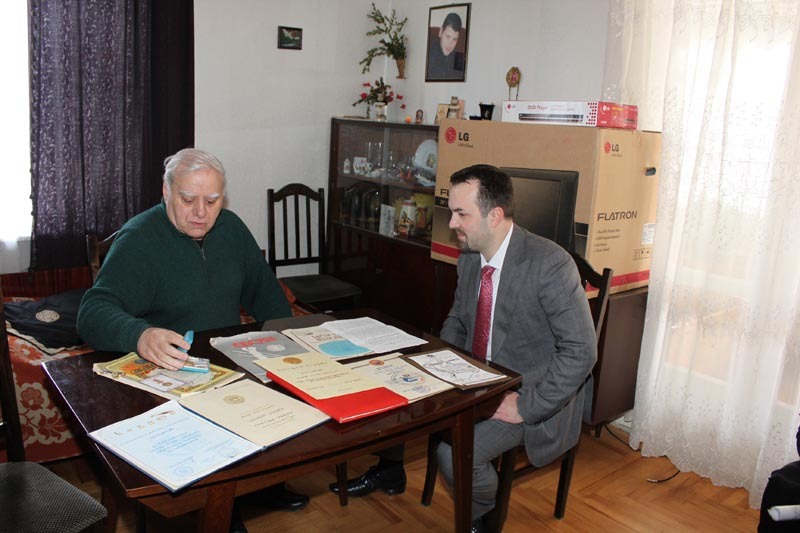 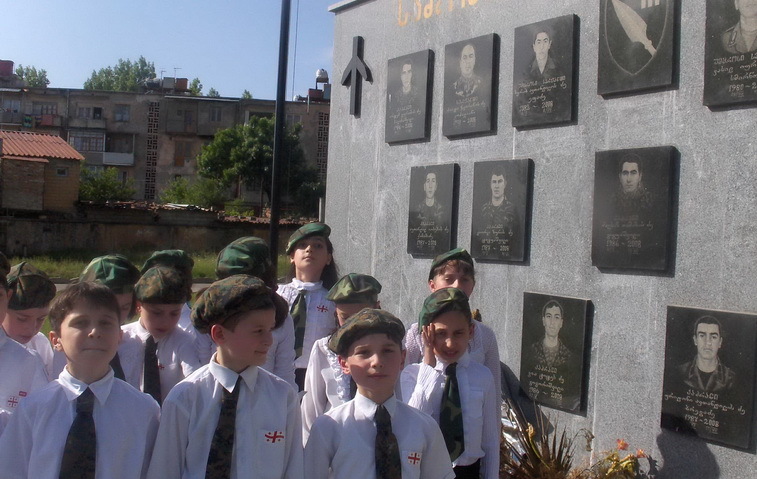 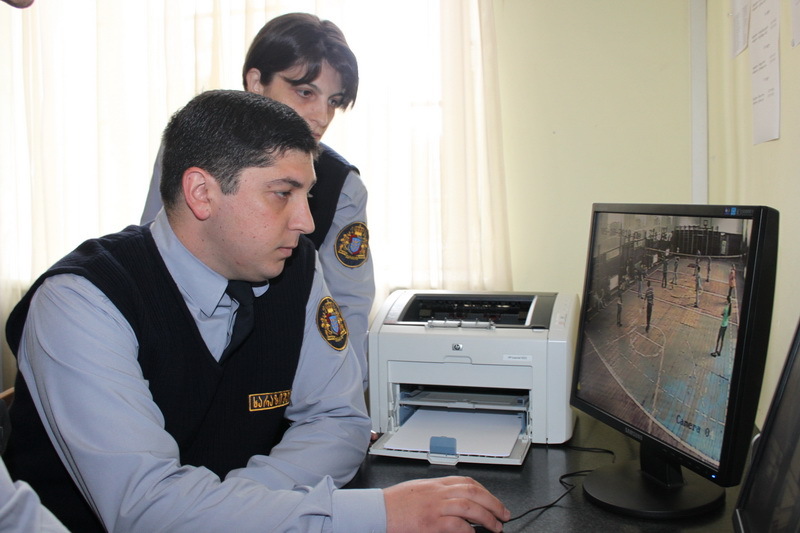 The Guards entered Tbilisi 7 pilot schools on April 15 and began to implement their duties. 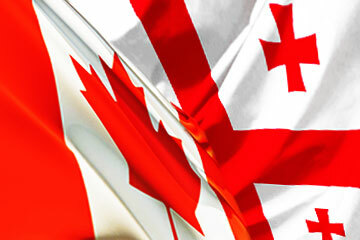 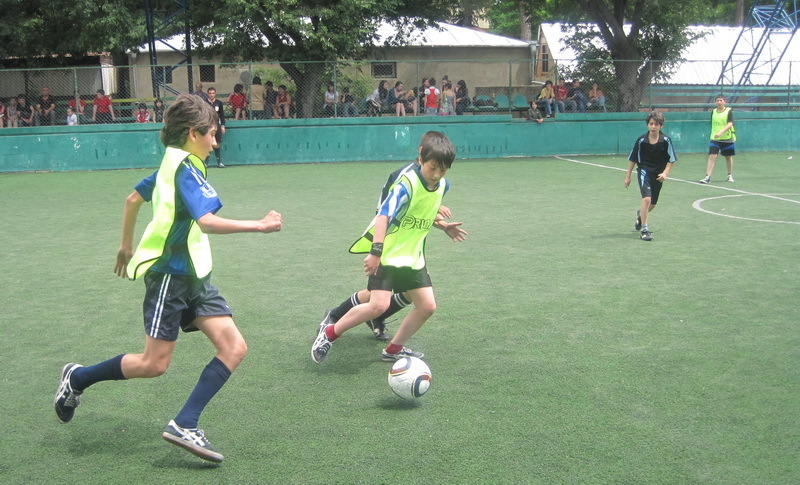 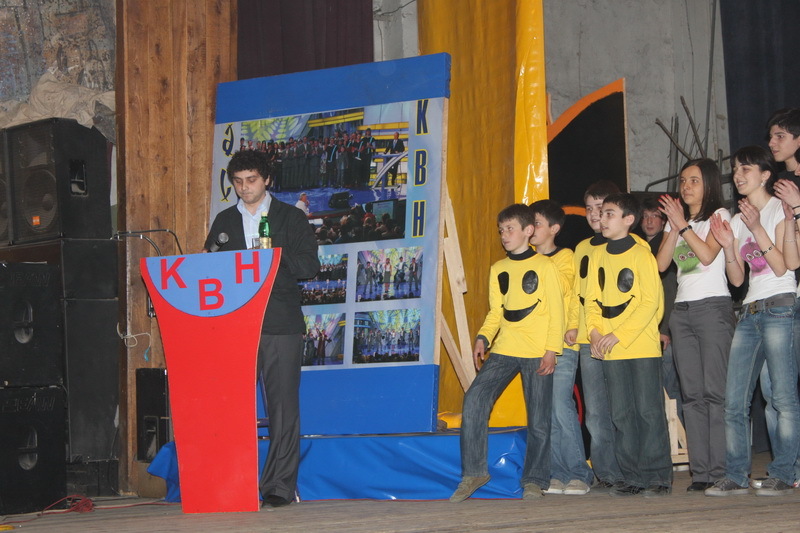 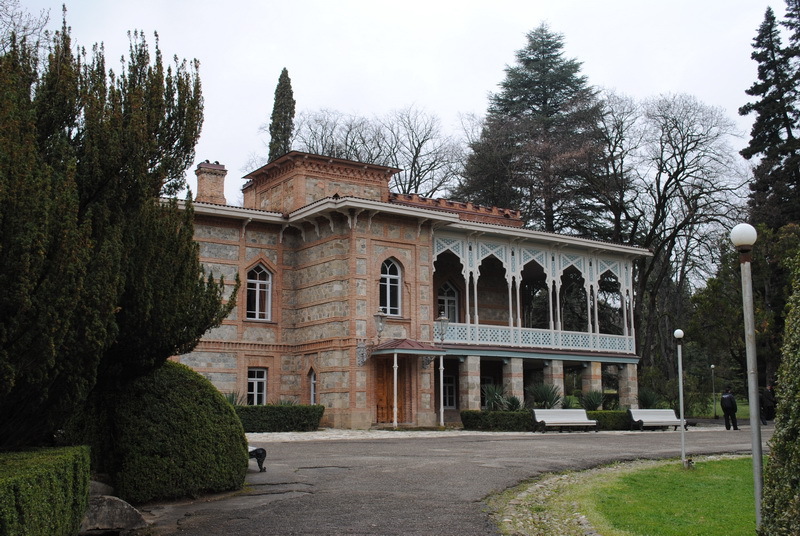 They entered the following schools: the first experimental school and the public schools №11, №23, №24, №51, №52, №117. 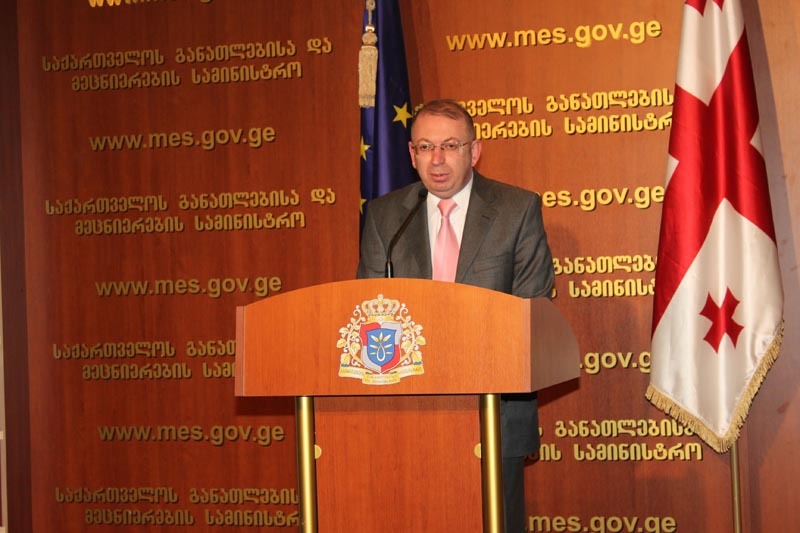 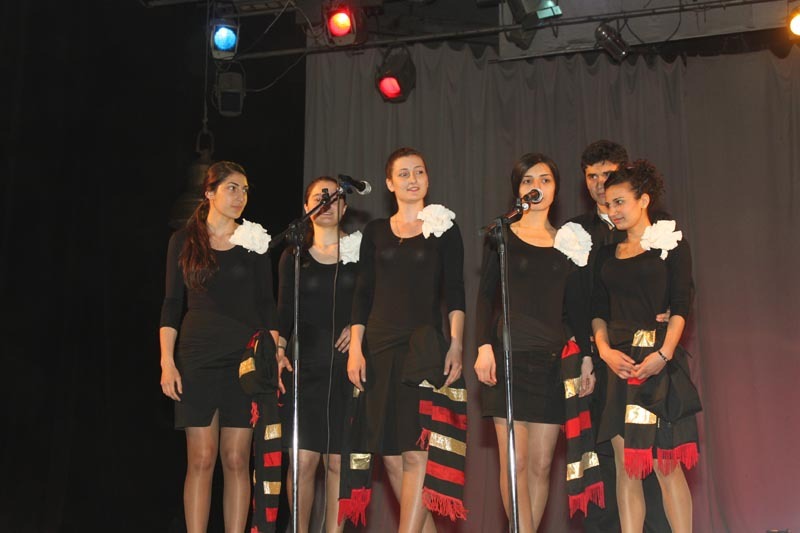 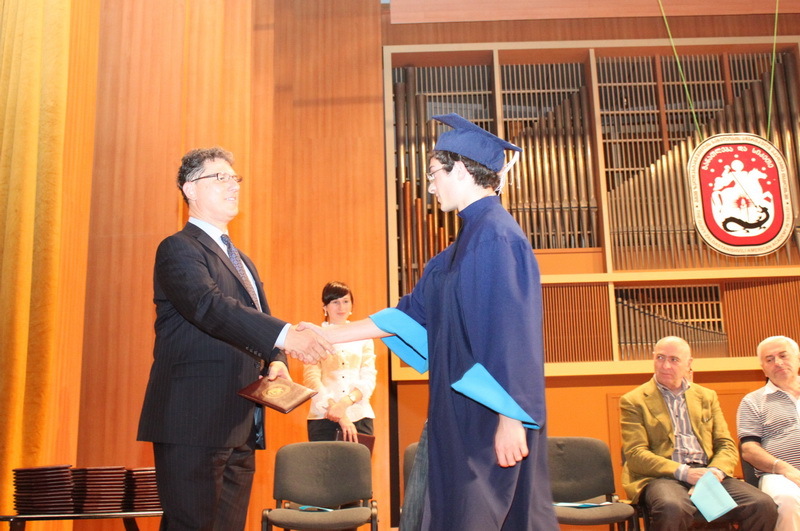 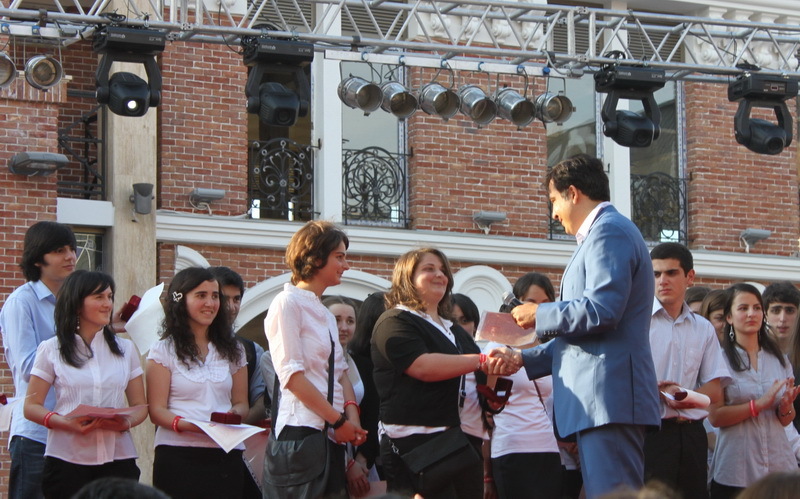 The Minister of Education and Science, Dimitri Shashkini awarded the winners of the school competition April 14 – the Day of Georgian Language with the prizes and the diplomas. 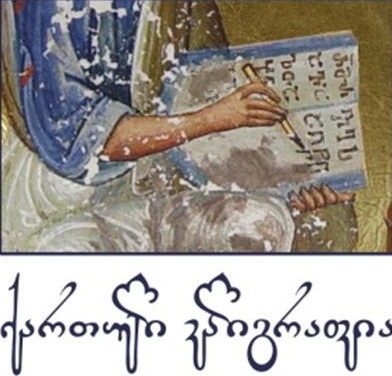 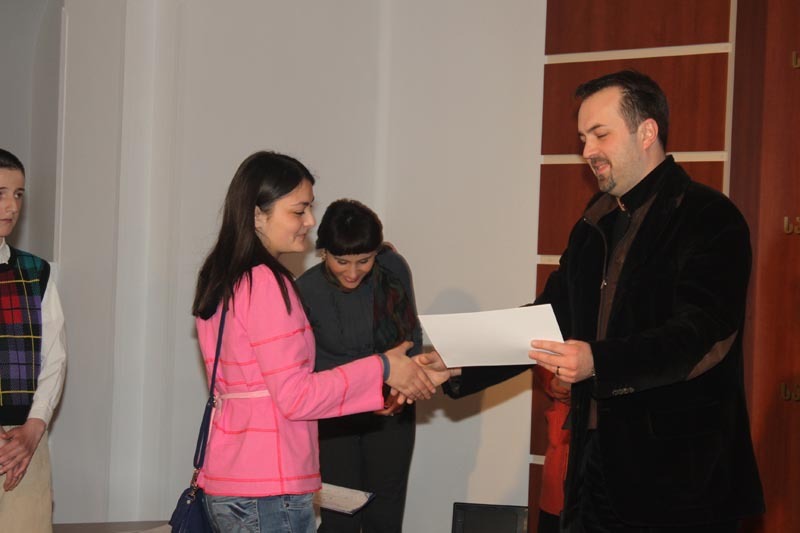 The Participants, who won the nominations and the prizes in the competition of Calligraphy, were identified at the National Center of Manuscripts. 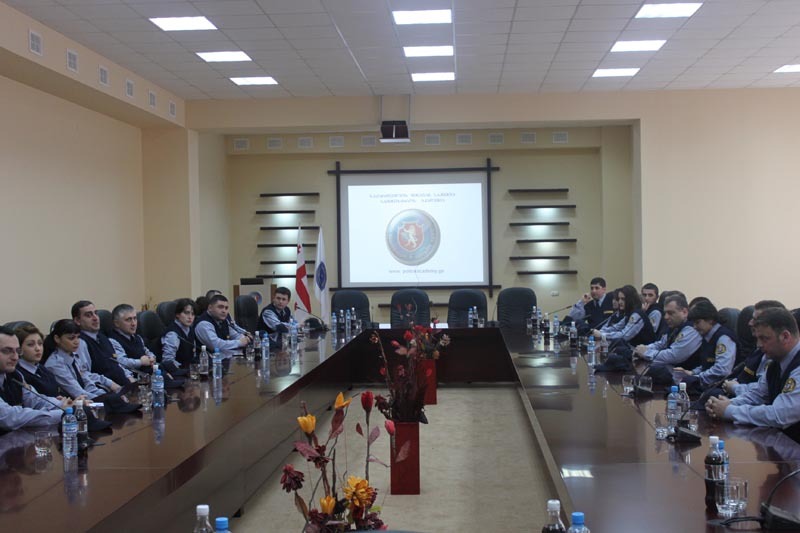 The Minister of Education and Science, Dimitri Shashkini visited the Academy of the Ministry of Internal Affairs and awarded with the certificates the public school Guards, who were trained at the Academy. 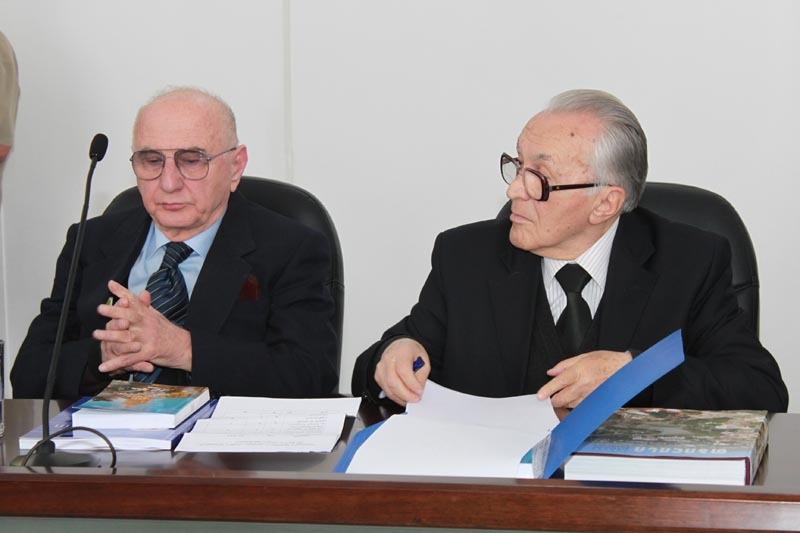 The Minister of Education and Science, Dimitri Shashkini and the State Minister for Diaspora Issues, Mirza (Papuna) Davitaia held a first joint meeting of the commission at the Ministry of Education and Science. 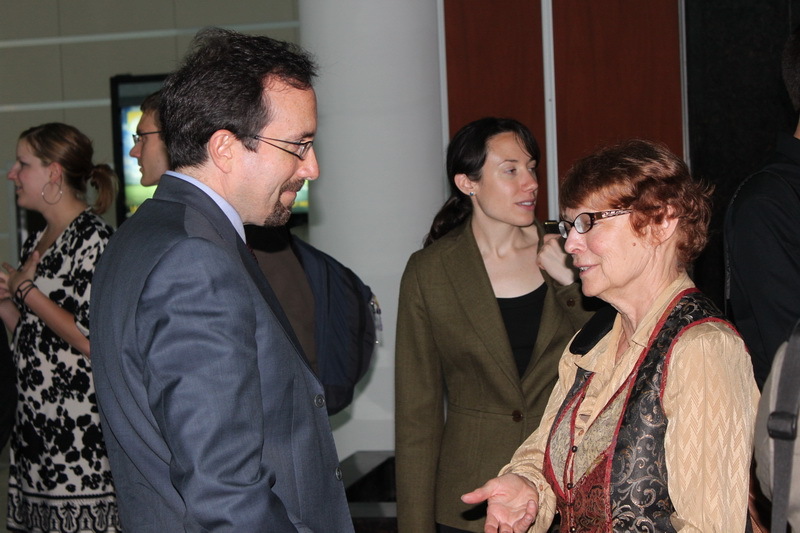 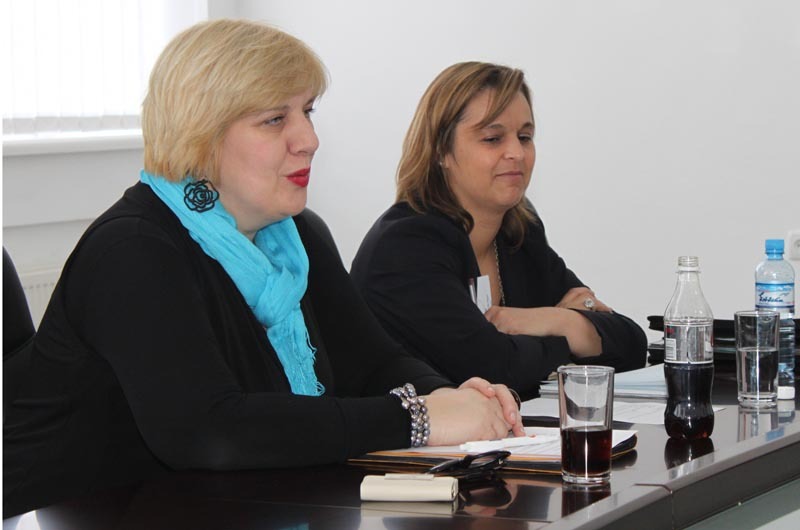 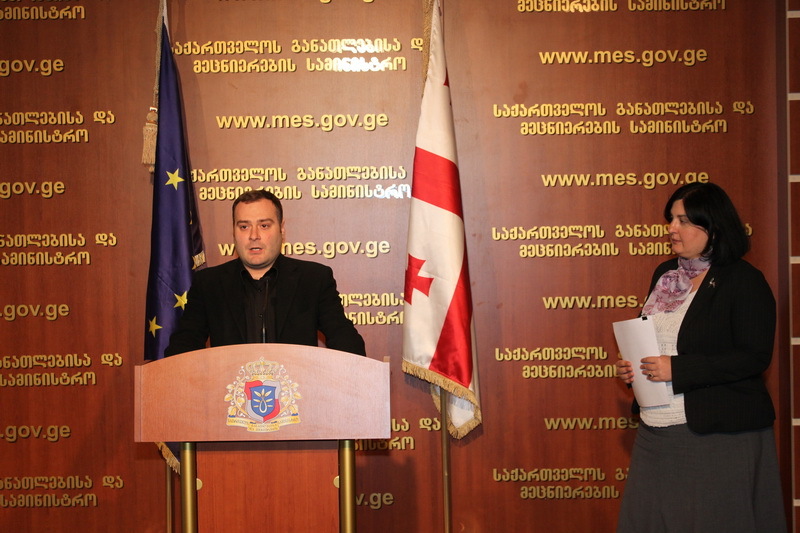 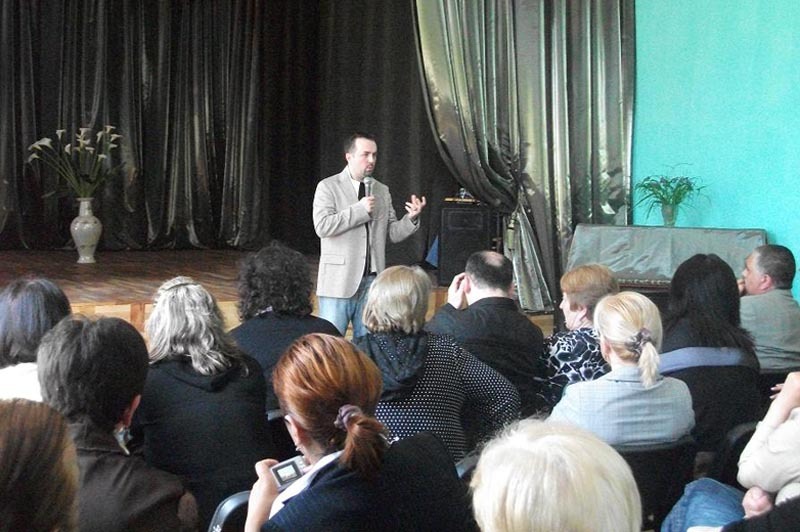 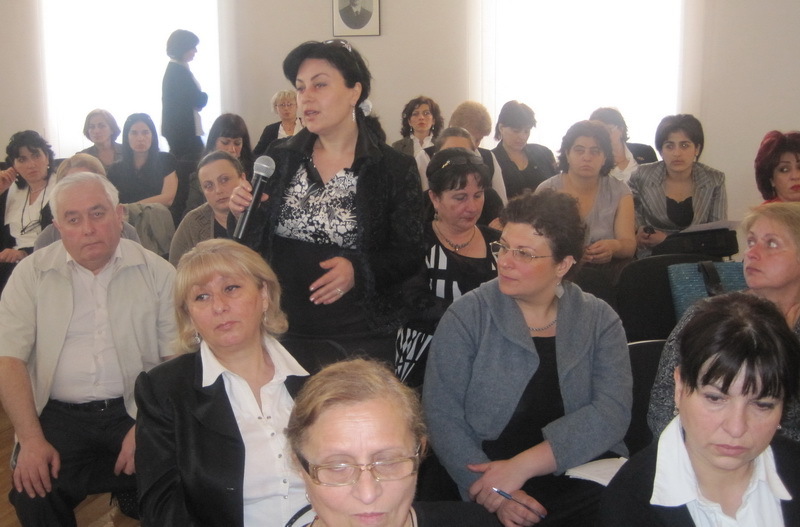 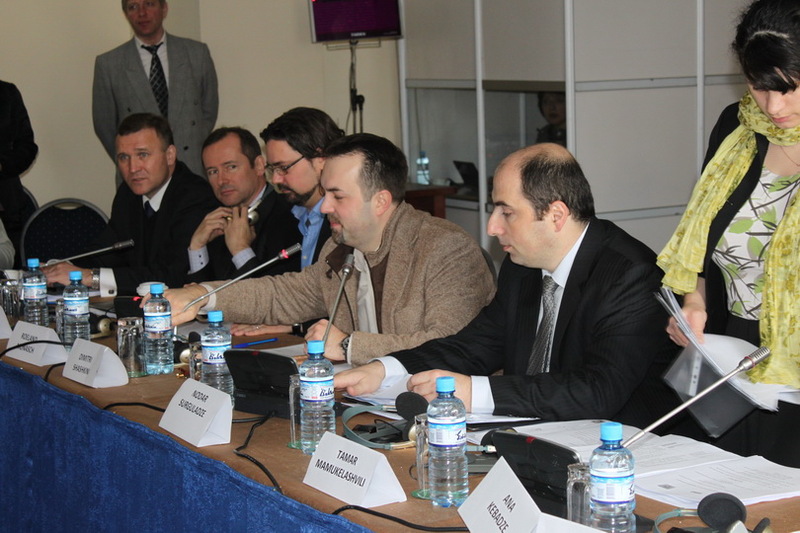 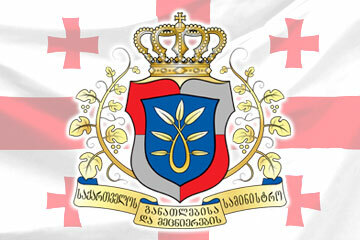 The development of the curricula for the Georgian Weekend Schools abroad was discussed at the meeting. 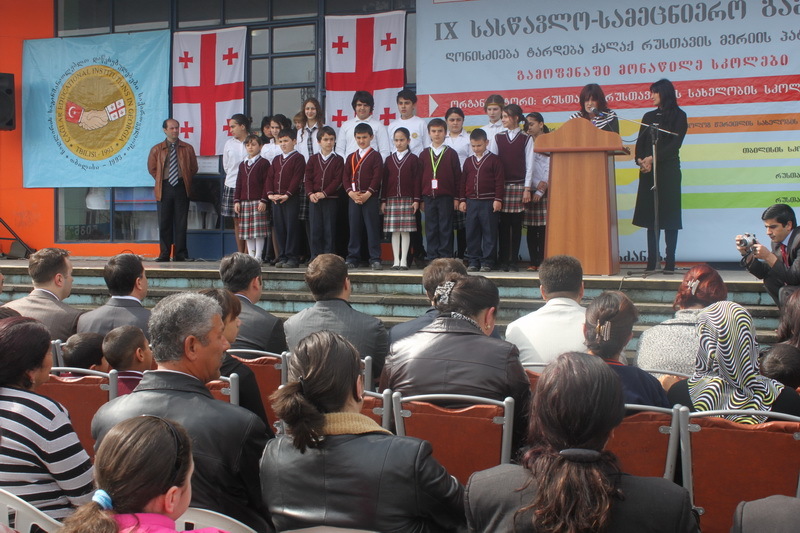 The Minister of Education and Science, Dimitri Shashkini paid a visit to Tbilisi public school №42, returned the previous physics-mathematical status to school and presented it with 10 computers. 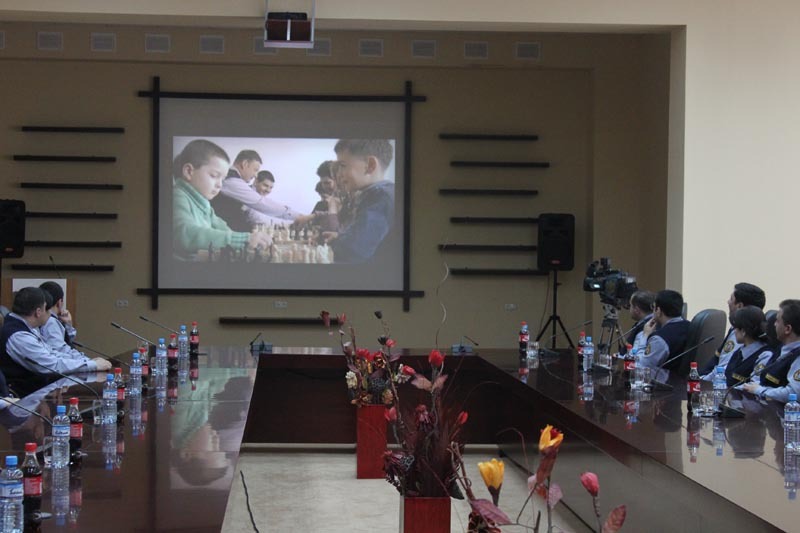 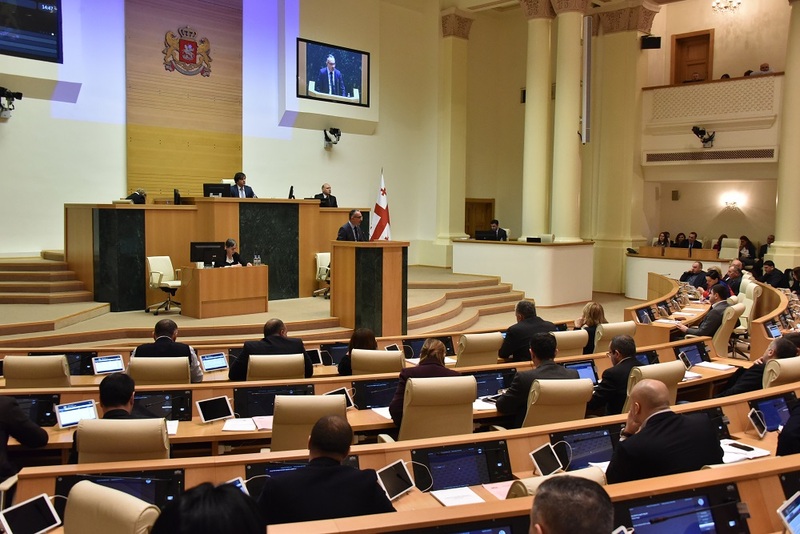 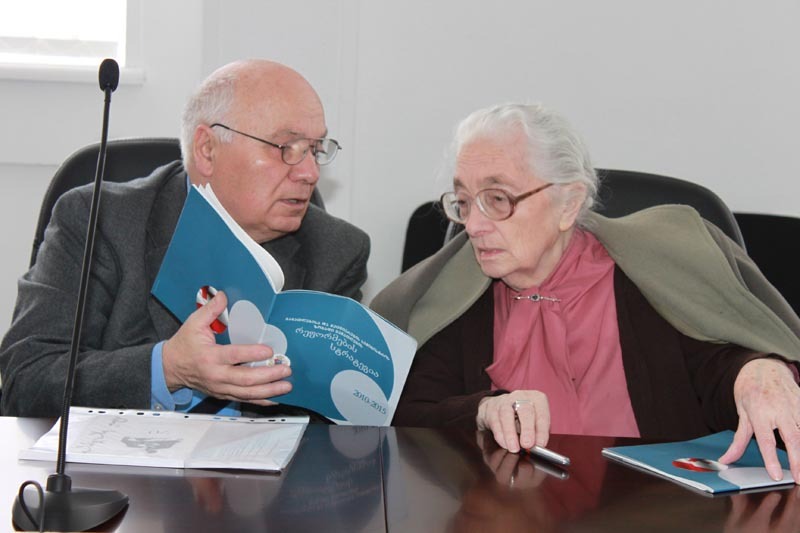 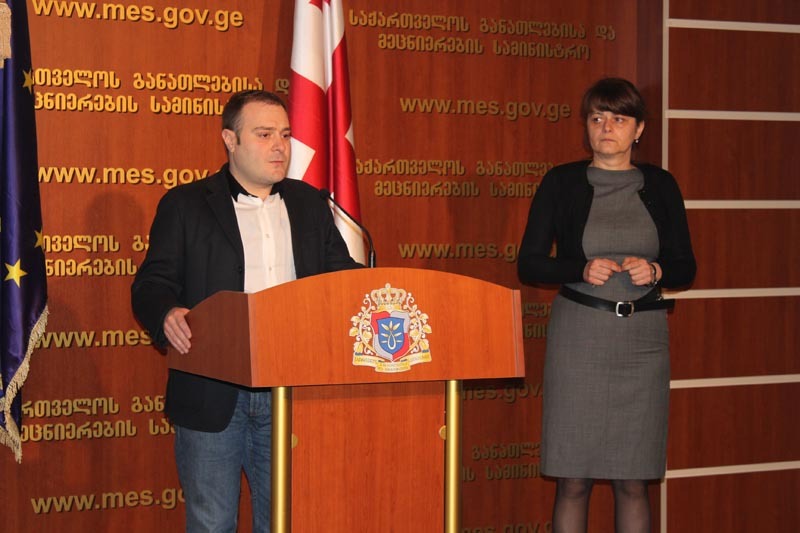 The Minister of Education and Science, Dimitri Shashkini and the Director of the National Curriculum and Assessment Center, Natia Jokhadze introduced the current system of the schoolchildren evaluation to the members of the Public Board. 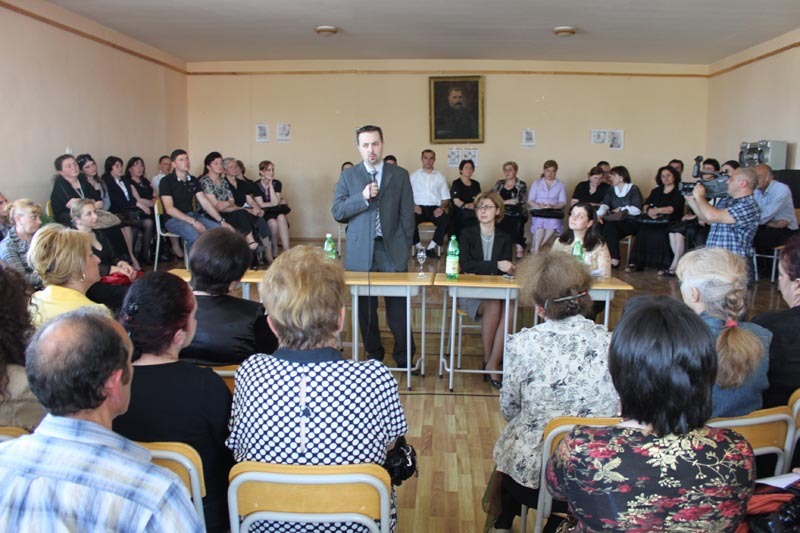 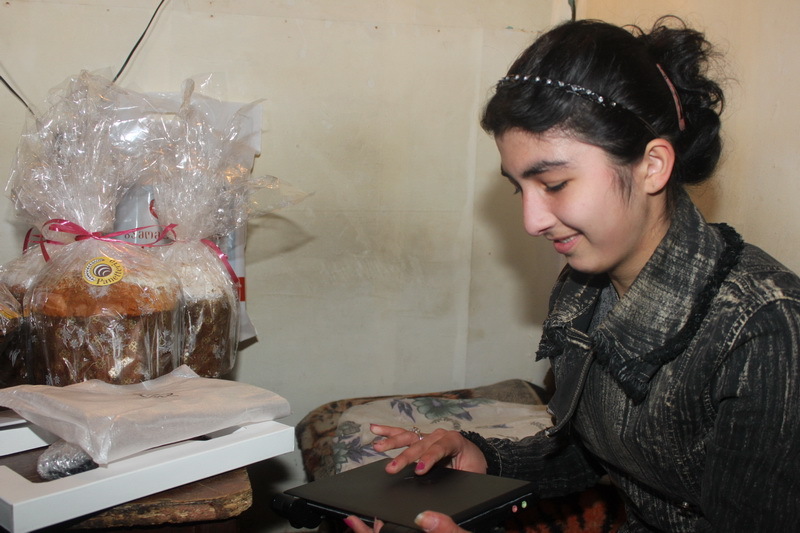 The Ministry of Education and Science presented the 8th and the 9th graders of Kontsliashvili vulnerable family with computer and the textbooks. 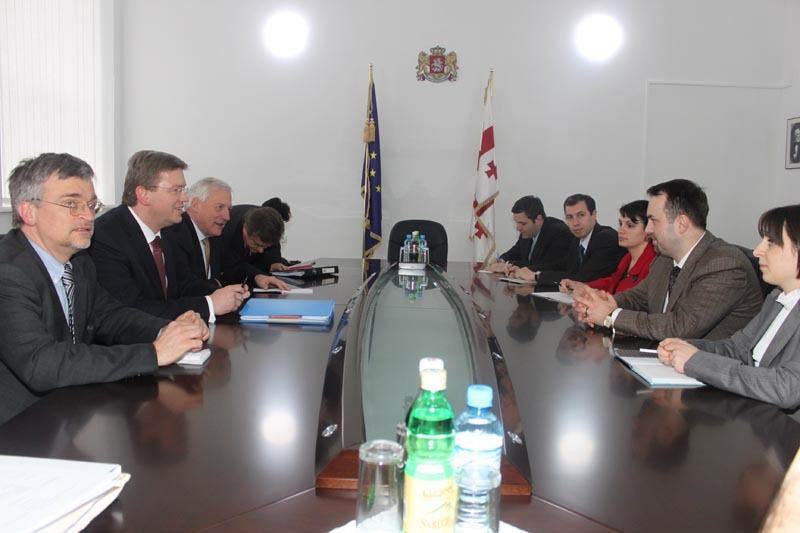 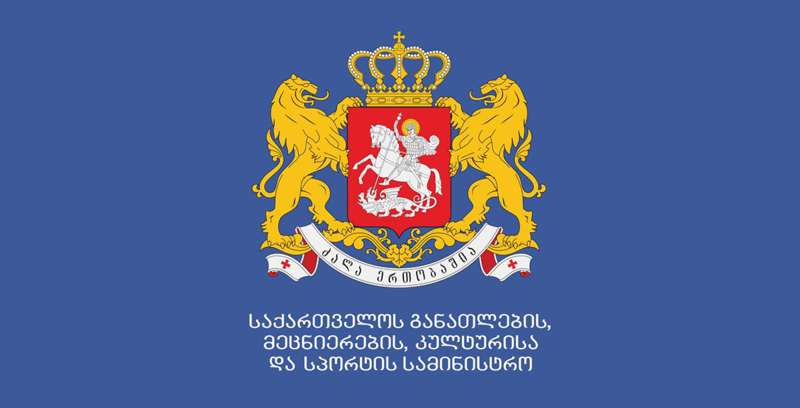 The Minister of Education and Science met with the Commissioner for Enlargement and European Neighborhood Policy, Mr. Stefan Fule, EU Special Representative for the South Caucasus, Mr. Peter Semneby and the Ambassador , the Head of the Delegation of the European Commission to Georgia, Mr. 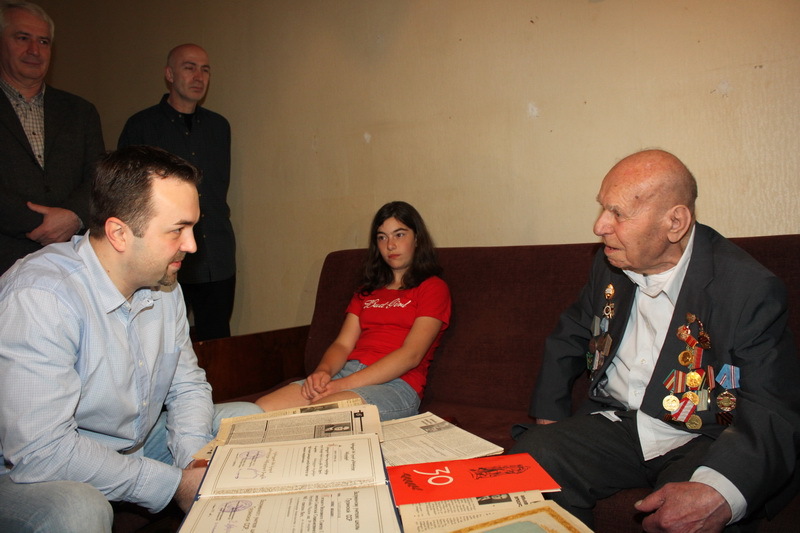 Per Eklund. 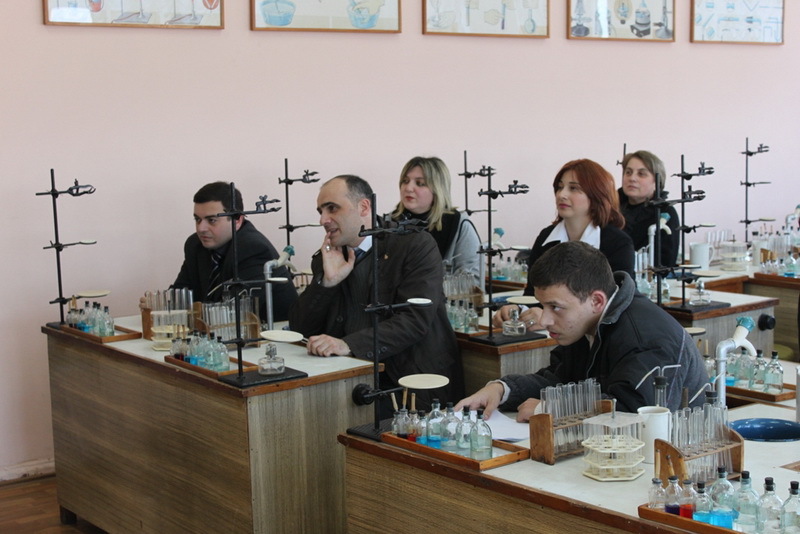 The Minister of Education and Science, Dimitri Shahkini visited the 9th educational-scientific exhibition in Rustavi and inspected the cognitive-educational projects in physics, chemistry, biology and mathematics. 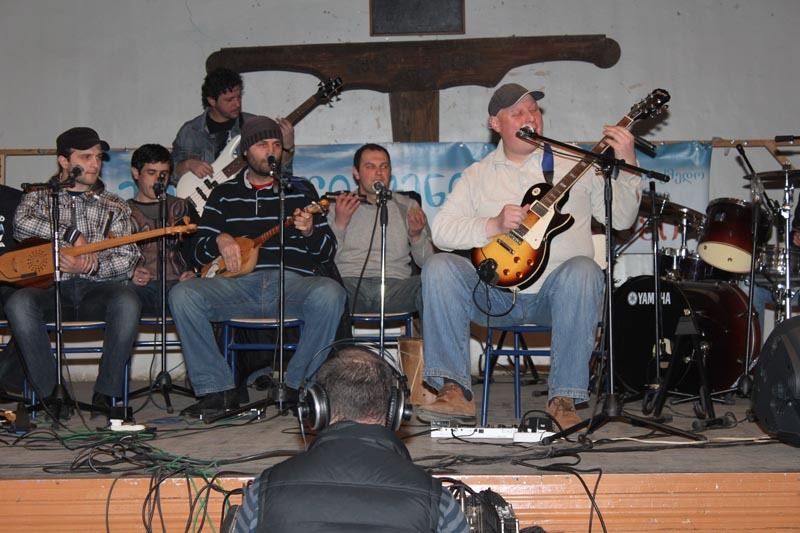 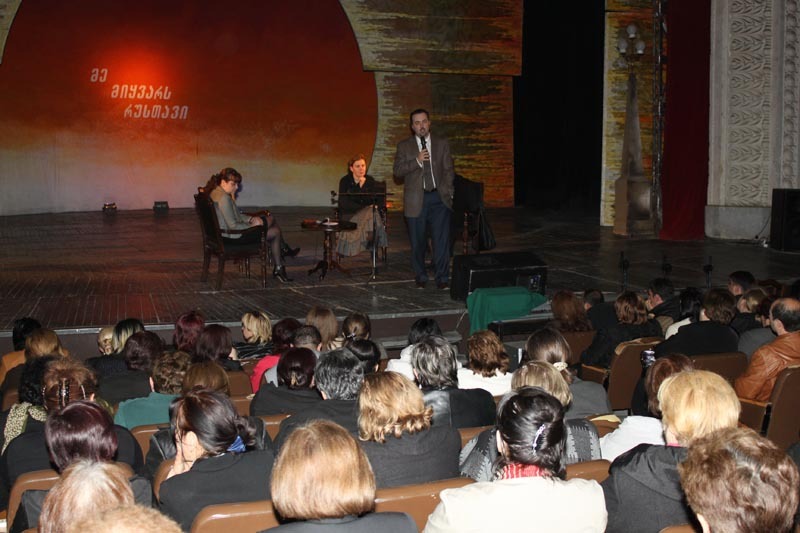 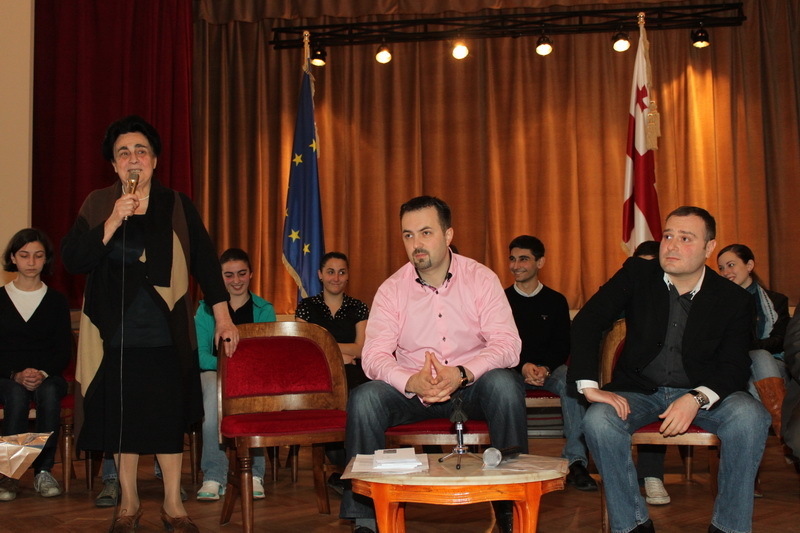 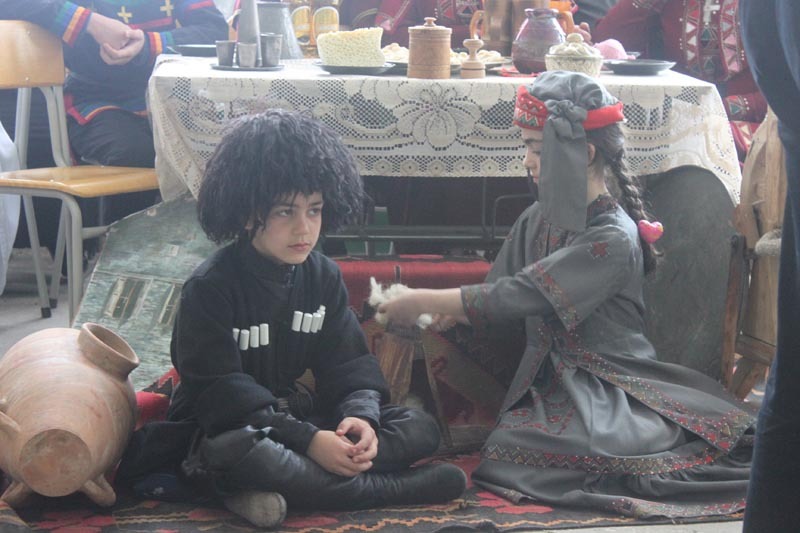 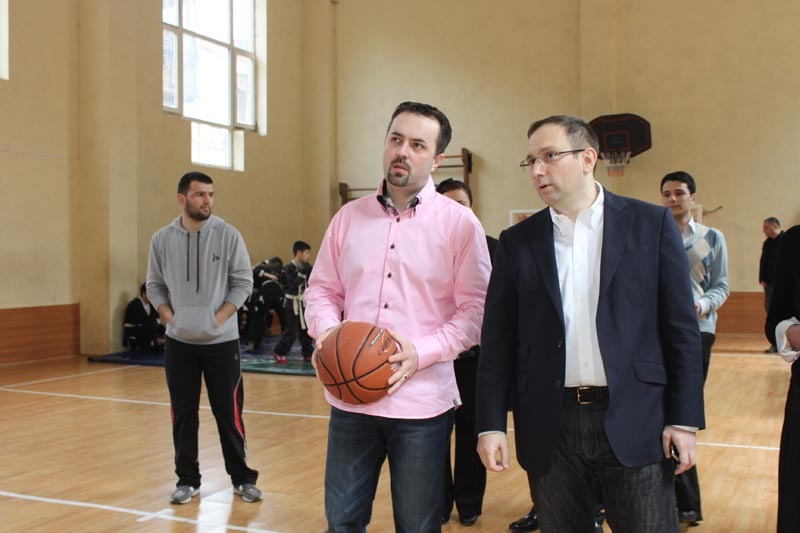 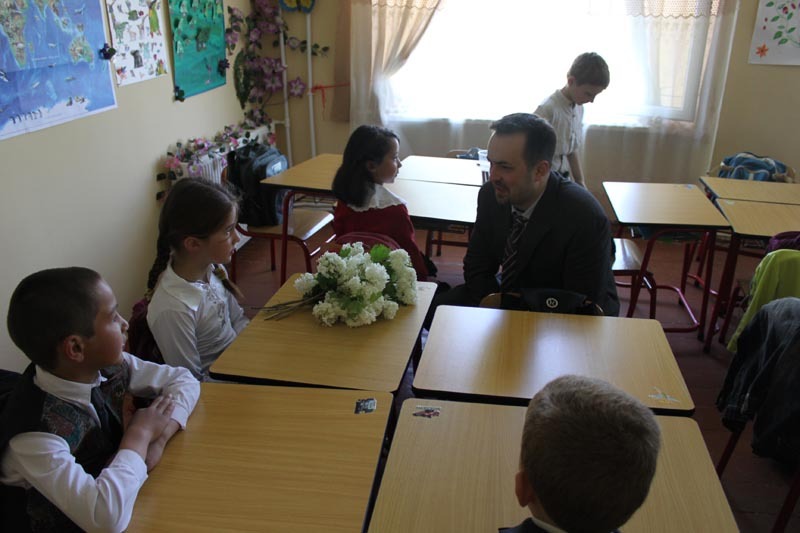 The Minister of Education and Science, Dimitri Shahkini visited Tsnori public school №3 and attended the event, organized by the NGO “Lampari 2009” in the framework of the project For Future Generation. 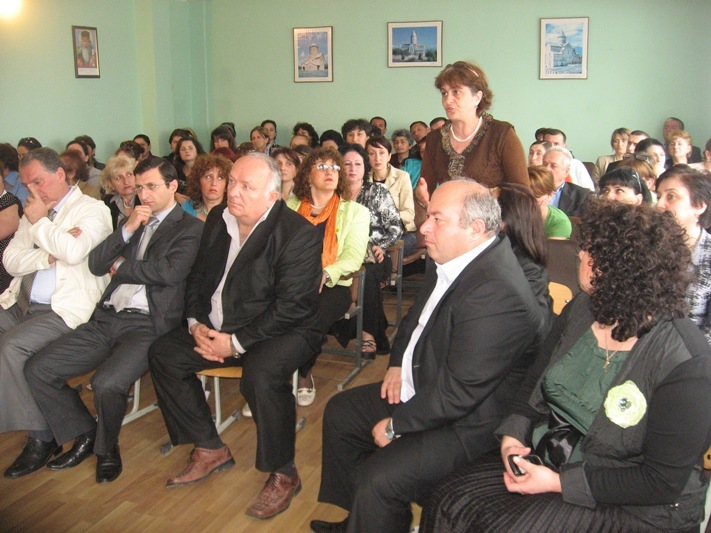 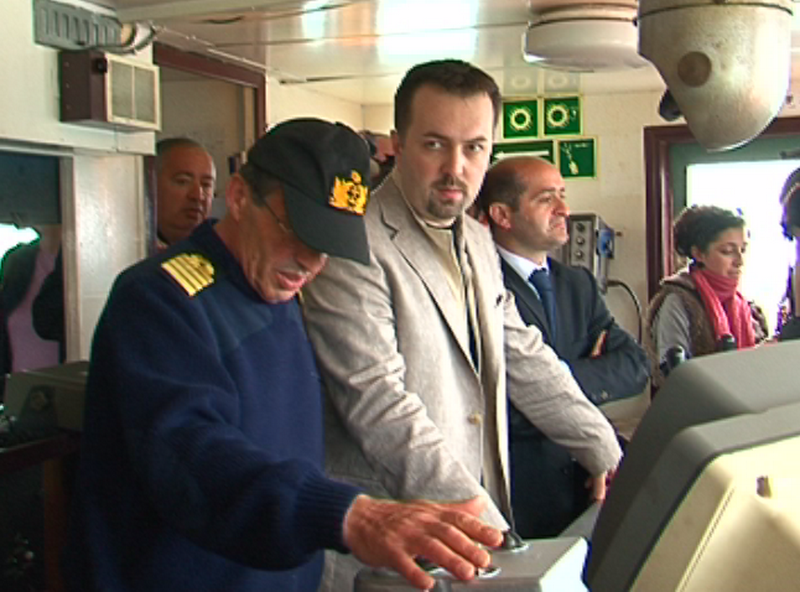 The Minister of Education and Science visited A. Razmadze public school #41, returned the previous physics-mathematical name to school and presented it with 10 computers. 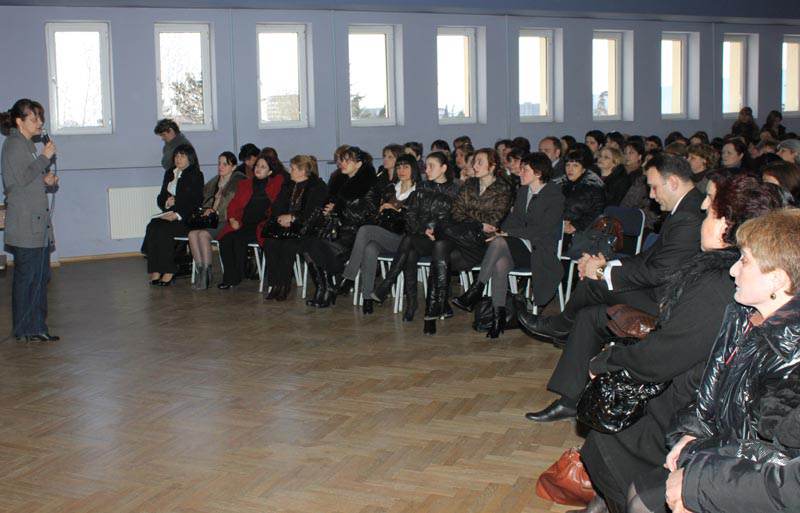 The Minister of Education and Science, Dimitri Shashkini visited Zhvania School of Public Administration in Kutaisi and inspected the ongoing rehabilitative workings of this school. 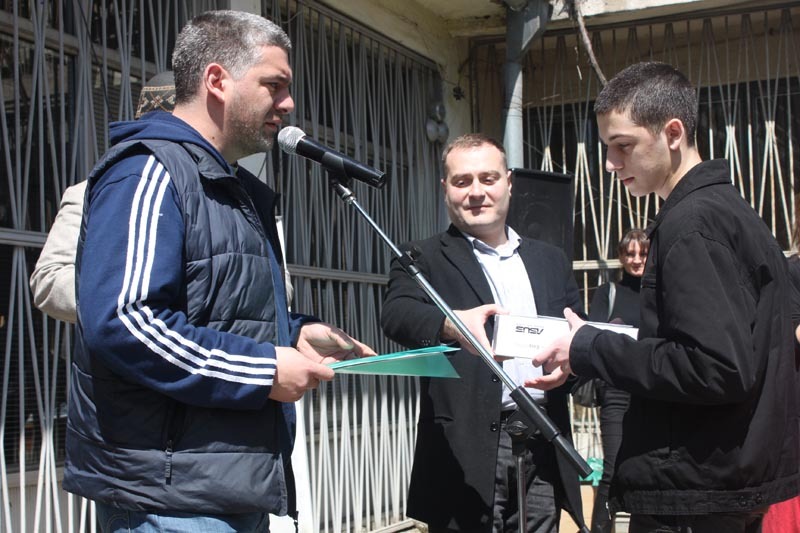 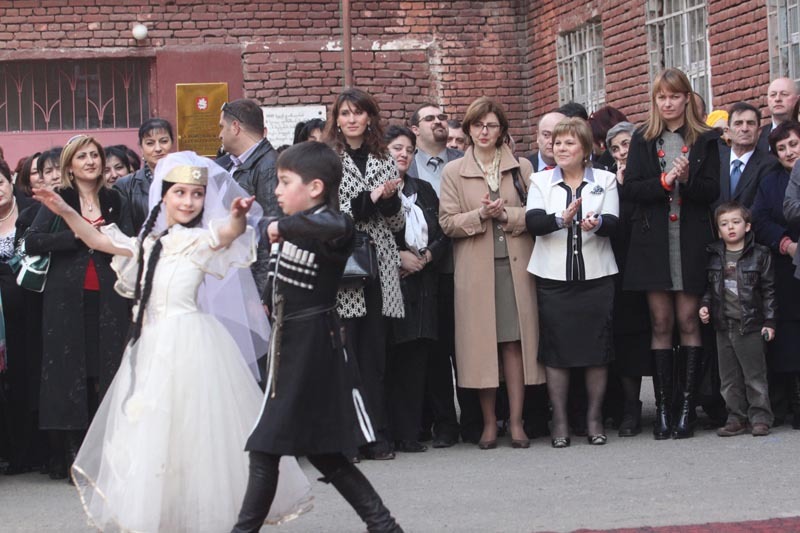 The Minister of Education and Science, Dimitri Shashkini visited Tbilisi public school №200 and presented the schoolchildren with Easter gifts. 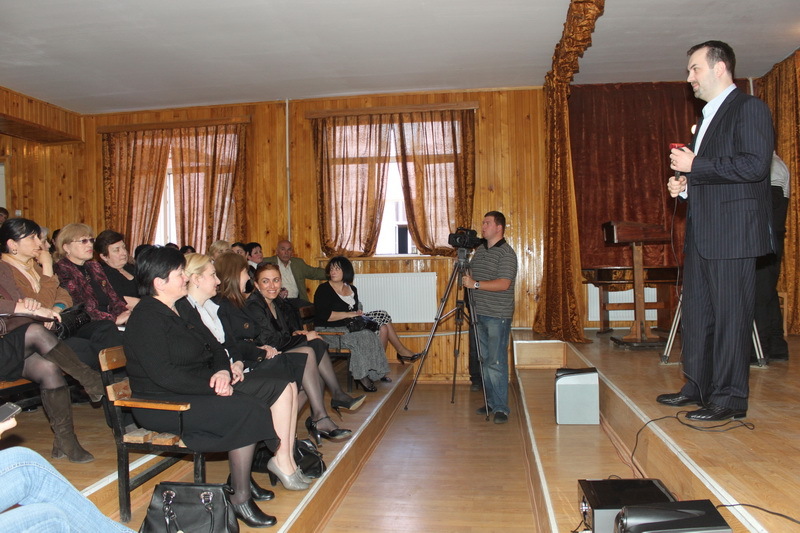 The Minister noted, inclusive education is one of the priorities of the ministry. 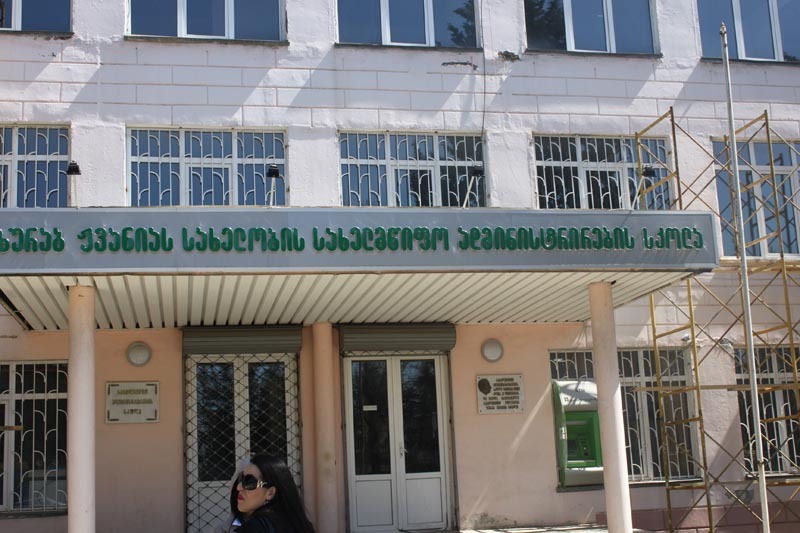 The Ministry of Education and Science has already defined the minimal competency levels and the dates of the teachers’ certification exams. 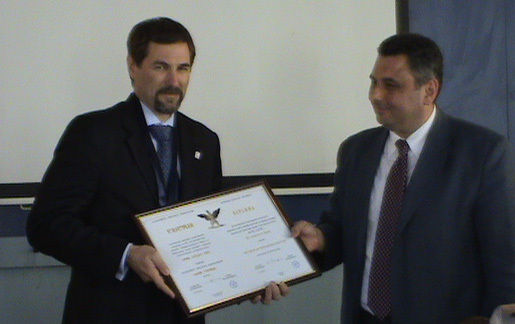 The Minister of Education and Science, Dimitri Shahskini visited Georgian Technical University and awarded the Full Professor of the Department of Machine-Building of the Faculty of Transportation and Machine-Building, Vajha Menteshashvili with the Technical University Diploma of honor, for his long pedagogical and scientific activities.